The era of nightmares doesn’t seem to be coming to an end anytime soon over at Disney’s Hollywood Studios. Jim Hill says that despite the fact that many guests see the giant Sorcerer’s hat sitting in the middle of the park as the biggest eyesore since Cinderella Castle was turned into a giant pink birthday cake, it serves an important purpose to the park. More to the point, the stage below the ugly hat plays a vital roll in allowing DHS to hold various live shows and draw the crowds away from popular attractions such as Tower of Terror and Toy Story Midway Mania. Disney Hollywood Studios? Funny you should mention that as the rumored Star Wars Land seems closer than ever to coming to fruition. The good news? It will be worth the wait! Are you familiar with a little place called Diagon Alley? Seems that Walt Disney Imagineering had a private tour of Universal’s newest land and immediately went back to their corporate overlords saying they need more money for the upcoming Star Wars projects in DHS. Why? Because as Len Testa said, Disney can’t just be as good as Potter, it has to be better. “Say goodbye to Echo Lake,” said Jim, “that’s Tatooine.” Look for a huge Star Wars presence, so much that it will become the clear identity of the parks. The best kept secret in Walt Disney World right now is the fact that hotel occupancy rates have been dropping steadily over the years as The Mouse just plain simply over built. Since no new attractions will be opening any time soon to drive up attendance (and on-site hotel stays) there’re only two ways to fix the problem. The first option is lower prices (which for Disney is like asking a vegan to eat a meal consisting of milk-fed veal and BBQ baby back ribs) and the second option is to take rooms out of stock, which Disney has been quietly doing with various “refurbishments.” The super-secret third option? Convert rooms for people who are contractually obligated to stay. Who’s that again? 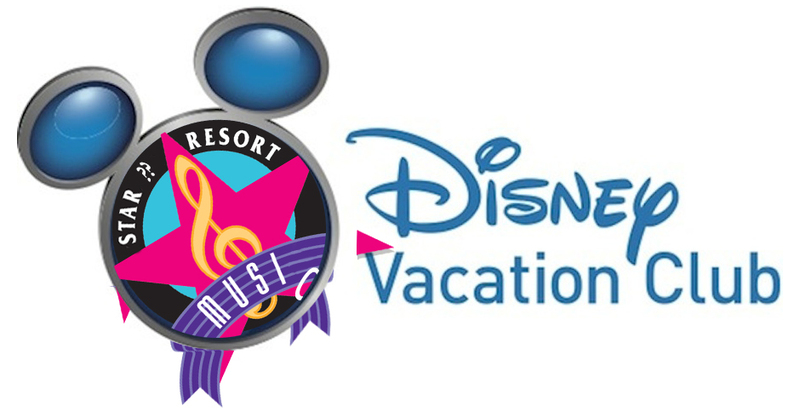 Disney Vacation Club. In order to not only solve their resort occupancy problems, but also alleviate booking problems created by the Aulani debacle over at DVC, Disney will be taking high priced and possibly moderate rooms off line from their resorts (which we are currently seeing at the Polynesian) and converting them to Disney Vacation Club units, still an extremely hot commodity. What’s after the Polynesian? The Wilderness Lodge will be seeing a DVC change out much like the Animal Kingdom Lodge where 300-400 rooms will be taken out of inventory and converted over to DVC units and possibly over-water units like the Poly’s. Talk of conversion of moderate rooms at Caribbean Beach is also on the table. These conversions will not only make regular hotel occupancy rates rise, but will also keep the gravy train that is DVC chugging along. 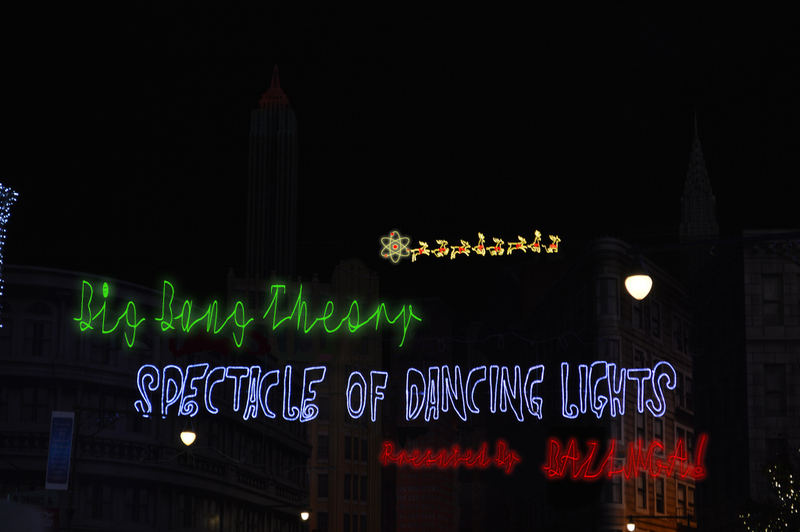 # 3 – The Osborne Lights could be changing its name to one based off a…. television show? Say it ain’t so Jim. Turns out that in the last several years Disney has fully acquired everything that has to do with the Osborne Family Spectacle of Dancing Lights. So now they can do whatever they want, whenever they want and one of the things they may want to do is turn this beloved experience into a piece of corporate synergy with a reality television show on ABC Television. That’s right, The Great Christmas Light Fight could replace one of WDW’s best attractions. This humble author, who watches more TV than any human being on Earth every should, doesn’t even remember The Great Christmas Light Fight from last December. However, the show was a success, drawing ABC’s biggest amount of viewers in its time slot in over 5 years along with drawing boffo numbers in the key Adults 18-49 demo. The series was renewed for a second season and ABC even ordered a Great Halloween Fright Fight special. We can assume that a more sane mind will prevail and our favorite Osborne Lights will stay Osborne Lights but with Disney looking for any possible way to acquire every last Dollar Bill, Yen, Euro, and Brazilian Real in the world there will always be a slight chance that we see the purple cat changed over to a purple Duffy the Disney Bear and the hidden razorback into a hidden Gillette Fusion ProGlide Razor. 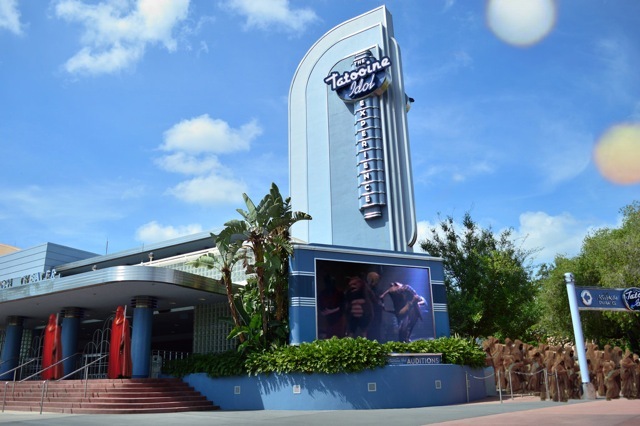 # 2 – The Great Movie Ride is leaving, but not anytime soon…. Talk about a double whammy, not only is that Sorcerer’s Hat staying, but the gorgeous Great Movie Ride facade looks to be on the way out. This is where if you were Darth Vader you’d be yelling NOOOOOOOOOOOOO! Well, let’s look at the silver linings, shall we? I don’t want to say this ride hasn’t been updated in a while, but Ellen’s Energy Adventure called and just asked if its ever going to change. The last time the Great Movie Ride was updated George Bush was president. GEORGE BUSH SENIOR. So if Disney’s not going to change the Great Movie Ride, maybe it’s not so bad that it’s going away. Jim Hill added that its replacement would more than likely using the ride technology that everyone seems to be going gaga over in Disneyland Paris’ new Ratatouille attraction. That could be cool. Fans of the Great Movie Ride can also breathe a sign of relief as the attraction isn’t going anywhere any time soon as it is already booked solid for private events for the next three years. Private events are held throughout Walt Disney World, but Disney Weddings takes it to the next level, offering guests the ability to book receptions in places such as the Living Seas pavilion and American Adventure Rotunda in Epcot along with the Great Movie Ride in Hollywood Studios. Not surprisingly, the ability to be able to make a toast while sitting in the room with The Wizard of Oz has great appeal. to the point where Disney is booked 150 dates in advance. No new bookings are being taken for the Great Movie Ride, and those who have dates in the future are being approached to possibly change to a different venue in order for Disney to be able to close down the attraction, but for right now it’s staying as is. WE ARE ALL IN YOUR DEBT BRIDES AND BRIDE-ZILLAS OF THE WORLD. Dedicated readers know that we at the SATURDAY SIX offices have a complicated history with Epcot’s nighttime spectacular. 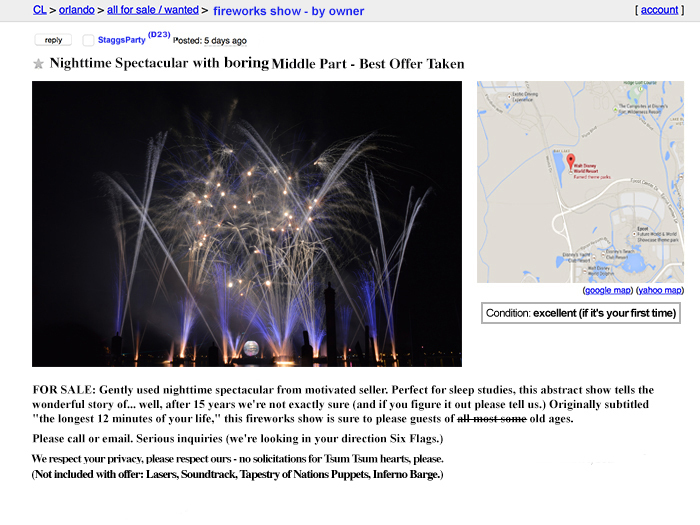 We have made the case both FOR and AGAINST this fireworks extravaganza changing. Our ears definitely perked up with Jim Hill said that Steven Davison, the man behind World of Color, has been working on new project that could replace Illuminations in just 18 months. WHEW! And that’s just the TOP SIX newsworthy items. Do yourself a favor and click on your iTunes machine and SUBSCRIBE to The Unofficial Guid’s Disney Dish with Jim Hill podcast. If you haven’t heard this particular episode yet, what are you waiting for?! Click these links to listen right now or watch on YouTube. Follow host Len Testa and Jim Hill himself on Twitter as well as Jim’s website JimHillMedia.com. AUTHOR’S NOTE: I got inspired by seeing all the venues that you can rent out at Walt Disney World and searched – and searched, and searched, and searched – until I could find something within my budget. Turns out there is only one place on property that I can afford…. So there you have it: the Six of Disney’s (Not So) Secret Plans for the Next 5 Years. See you next weekend for the latest edition of the SATURDAY SIX, where we are going to head back over to Universal (maybe.) If you had fun, be sure to check out The Magic, The Memories, and Merch! articles, or, for your listening pleasure, check out Pardon the Pixie Dust podcast. 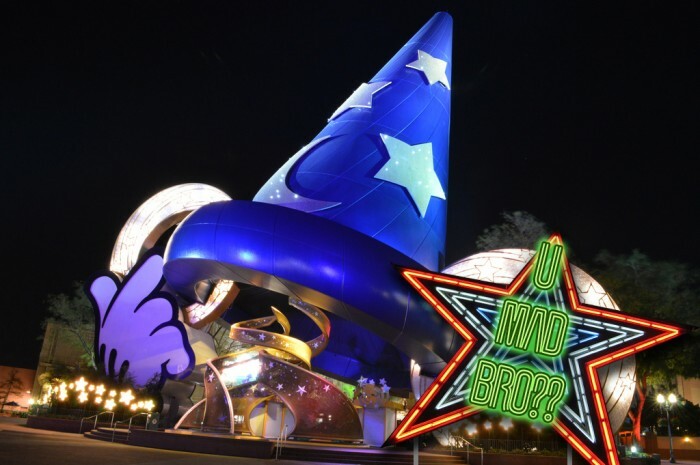 Ask Jim Hill Episode 9: Starbucks and Disney, How It Happened and What’s Next? October 8, 2013 Guy Selga Jr. Comments Off on Ask Jim Hill Episode 9: Starbucks and Disney, How It Happened and What’s Next? What is meant by the “aulani debacle”?? I don’t understand what you mean by this: “booking problems created by the Aulani debacle over at DVC.” Can you explain? The only “Aulani debacle” I can find reference to is the miscalculation of annual maintenance fees in 2011. There’s several issues with this property, one of which being how many contracts were sold to people who ended up not going to the resort. Travel to Hawaii isn’t cheap, so many times these people end up using their points down in WDW, clogging up the system in Florida. I would also argue Aulani over built, which forced them to offer some tremendous packages to lure people to the resort. The new way of doing a DVC changeover (such as taking a smaller amount of rooms at resorts like the Polynesian and Wilderness Lodge) makes it much easier to control inventory. I would suggest that taking Jim Hill’s prognostications at face value is, at best, a 50-50 proposition. There’s a documented history of his being wrong at least as often as he is right. Anyone who has followed Disney for even a few years knows that many trial balloons get floated and each new thing or change of something old goes through many possibilities along the way. Well, he was fairly vague about what’s coming, but I think the point is that something great IS coming, and Disney fans should be very excited. If/when Illuminations DOES go bye-bye, I may have to make a special trip down for the final show. If that show ever does shut down the park will close for capacity that night. 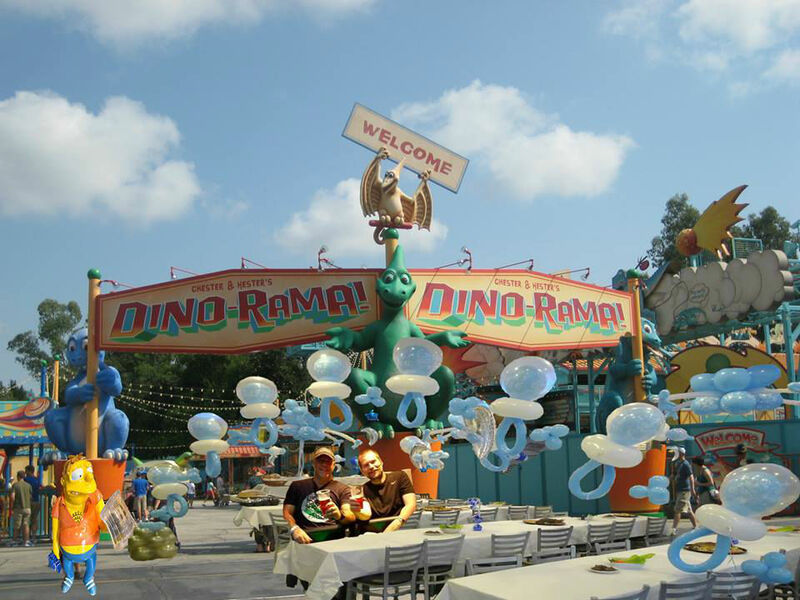 Think of the travel packages Disney could offer to die-hard IllumiNations fans like Tom Bricker and Len Testa alone. I would love to see a Star Wars Land at HS. It is not my fave park (my 7 year old claims it his favorite park but that is only because it has Star Tours). There are some great potentials for greatness here. Star Wars (or even Lucas)land, MuppetLand, Pixar Land, adding on Carsland. There is a lot of empty space in DH that could be used! I hate the layout of the park (Rock and Roller Coaster and Tower of Terror seem to take ages to get to and there is nothing else around (basically). I think this park needs a major overhaul. Just my two cents. I agree Stephanie, on this week’s Pardon the Pixie Dust podcast (http://ptpdshow.blogspot.com/2014/08/ptpd-august-14-2014.html) I brought up that DHS is already the worst park to walk around in and throwing a bunch of construction walls everywhere will only make it seem like a higher priced version of trying to navigate Downtown Disney. The stuff needs to get fixed, and we can all agree Disney is not going to lower prices, but I wish there is something they could do as a “make good” for people spending so much money and more than likely not have a clue of what they will be walking into until its too late. I’m confused, I thought thr Indiana Jones stunt show was going away. According to the podcast, Indiana Jones is staying where it is for two reasons. 1) Disney now fully owns the character and 2) much like the Great Movie Ride, the Indiana Jones space has been booked out for private events and cheerleading competitions. I am very happy to hear this as a huge Indy fan, was not expecting it. He said that Hollywood and Vine is staying. 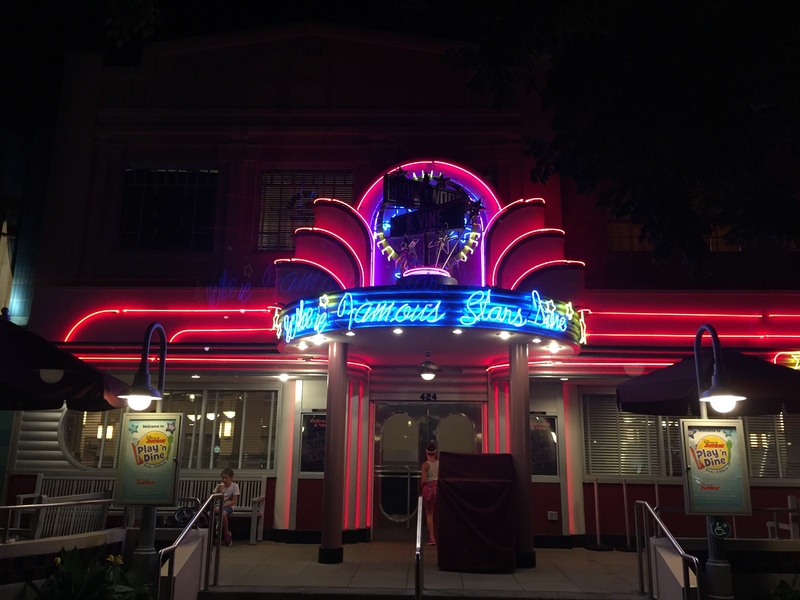 Any word on if 50’s Prime Time Cafe will be going away? Please stop giving Jim Hill attention. The rumors he reports that are valid are reported by other sites, like screamscape, months before he talks about them. He doesn’t bother to listen to Disney earnings calls or he would know that for all the negativity he gives the on-property hotels Disney has been trying to reduce their attendance rate since before AoA opened because they were booked so full they were having trouble maintaining the resorts. He talks about DVC at WL but ignores the rather lengthy discussion on dvcnews a few months ago where people pointed out that Florida timeshare laws would make adding on to a dvc resort really difficult before the contracts expire. Essentially he’s a Disney fan who doesn’t really keep up with Disney and wants everything to back the way it was 20 years ago. I would rather him not get more of a soapbox than he already has. I want Disney to be doing something huge and cool and not tell us about it until right before it opens. I don’t want to wait for the opening of Avatarland. Just build it quietly then announce it. Much more fun! Yes, I think announcing Avatar 6-7 years before it’s opening actually made people bored of he idea rather than hyping it up. Universal did it right with Harry Potter by confirming it only a year before opening. There was also something magical when frozen summer fun just appeared without any big announcement at all! Even I gotta admit this would be very beary scary! Keep the purple cat… PLEASE! So the long-rumored Star Wars Land will be a bunch of themed food locations, some retail, and a new minor thinly-themed midway ride? That sounds a lot more like Springfield, USA than like Diagon Alley. I hope Disney is prepared for that comparison. The real buried news here is that Disney thinks they’re secure enough on top to not have to spend money on new major attractions, and will not try to match Universal’s one-major-ride-a-year plan until and unless something actually hits their revenue figures.